OTTAWA, ONT. – The S. Dilawri Automotive Group is adding two stores in Barrhaven, Ont. And while most dealers are content to turn a little earth with a shovel at official groundbreakings, Shiv Dilawri took things up a notch. 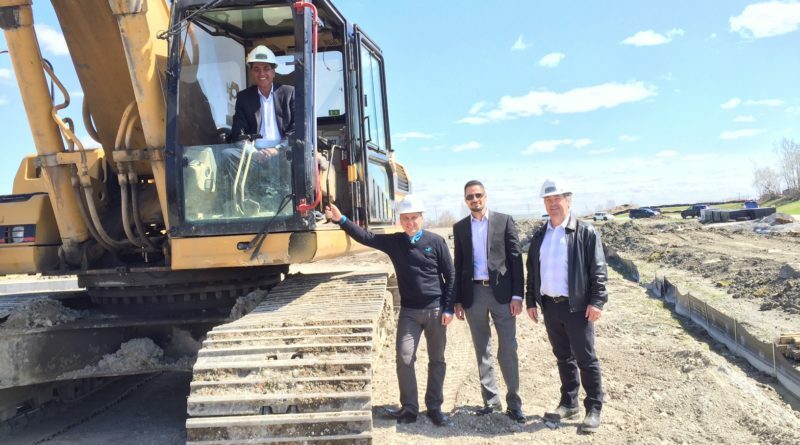 The owner hopped behind the controls of a heavy-duty construction backhoe get work started on Barrhaven Chrysler, which will open in the autumn. Group director of operations Elias El-Achab says the 33,000-square-foot dealership will have a showroom with space for 14 to 16 cars and a service department with 20 bays. 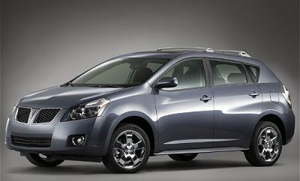 El-Achab said the dealership had two features that would stand out. Then there are the offices. Management paid special attention to where they went. “We were very strategic in how we placed the office of the sales staff and sales manager, even the service manager. The sales managers are close to where the customers are sitting,” he says, noting the service manager is close to the customer lounge giving him a direct window to see who’s waiting. “Everyone is trying to be as close to the customer as possible,” he says. Overall cost for the project is $12 million. Barrhaven is a growing suburb southwest of Ottawa. 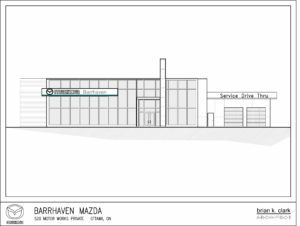 The FCA point is the second of two new stores for the group as S. Dilawri Automotive is currently building a new Mazda store in the growing mini auto mall. The Mazda store now under construction is on a three-acre lot and will be 23,000 square feet. Construction continues on the new facility for Shiv Dilawri’s Mazda store. A Nissan dealership, not owned by the group, will open there as well. El-Achab says the group owns the fourth lot and is vetting candidates for that spot. “Both dealerships also feature environmentally friendly services such as LED lights, rain water recovery systems and intelligent HVAC systems,” he says.